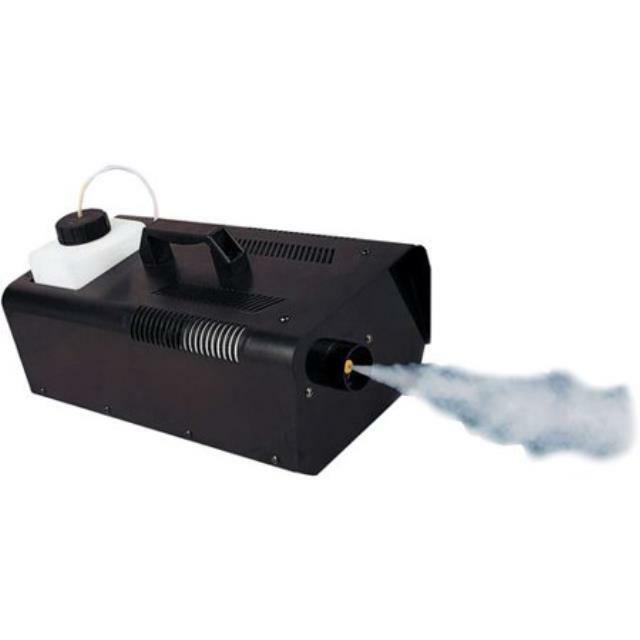 Electric fog machine produces fog or mist effect. Fog will dissipate through a room - it will not lay low on the ground unless cooled by some other method. Great effect with our audio modulated lights so that the beams of light can be seen. Fog fluid is sold separately. * Please call us with any questions you may have about our mist / fog machine rentals/sales in State College, serving Central Pennsylvania.